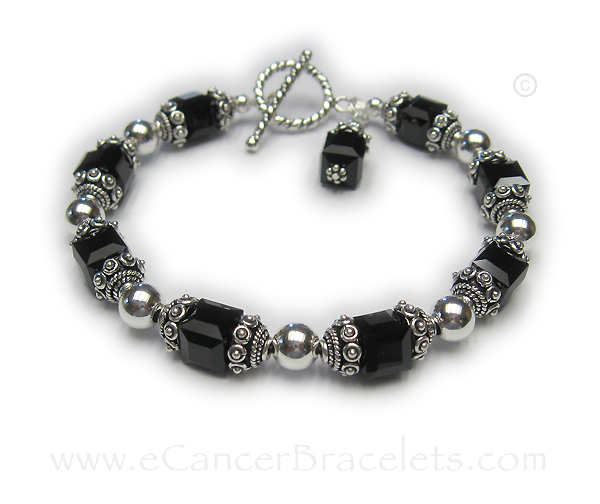 This beautiful bracelet has the largest Swarovski crystal beads I carry. I have used 8mm square Swarovski crystals with Bali style pewter bead caps, 6mm smooth sterling silver round beads. 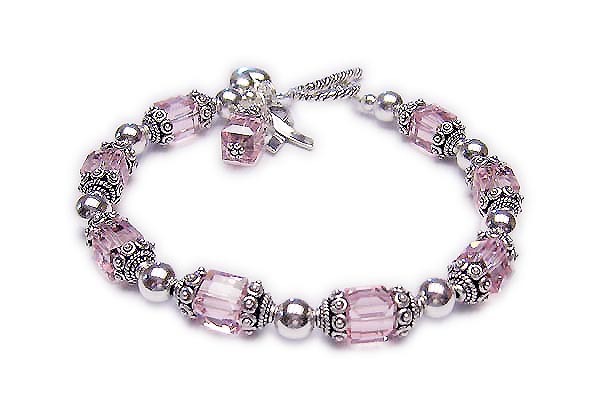 The bracelet is shown with square Pink Swarovski crystals but you choose the color during the ordering process. I have 18 Swarovski crystal colors. It also comes with a sterling silver ribbon charm and a matching square Swarovski crystal dangle. They added a Puffed Heart charm during the ordering process. Addition charms may be added during the ordering process below. 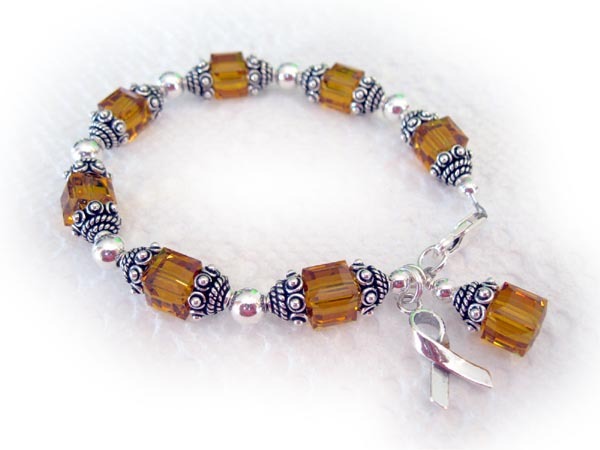 This bracelet is shown with orange or November Swarovski Crystals.